*I'm looking at the subject matter from local traditions and superstition. Everyone has their own grieving process and bereavement, and I don't want to detract from anyone's own experiences, especially as a person who is privileged enough to not have lost anyone too close to myself yet. This is a look at customs, nothing more. I'll address four main traditions/superstitions, via some Chinese idioms! This is ... well, exactly what it says. 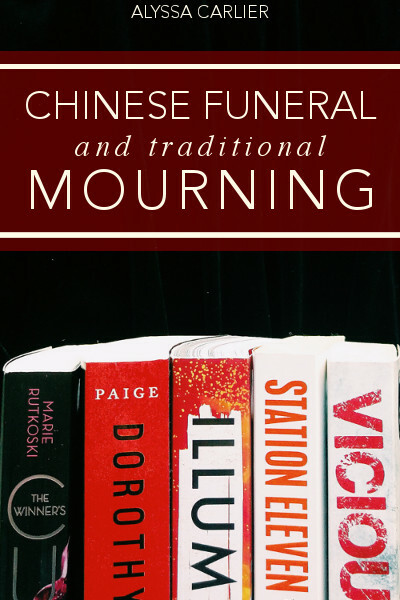 Chinese people are oddly fixated on keeping the entire corpse for burial. This is of course impossible in all cases, but traditionally we very much prefer doing so. So cremation was extremely unpopular for a great segment of history. Otherwise ghosts and all sorts of superstitious bad things will occur. This has also caused some minor issues when it comes to organ donation and so on — most traditionally minded Chinese people are not inclined to donate their organs after death for this very reason. On the flip side, I'm hopeful that we'll find a compromise soon because urbanisation is forcing all of us to change. For example, traditionally people were buried in cemeteries, fair enough. Then we had to use cremations because Hong Kong isn't big enough for that many dead people. However, the buildings for funeral urns are now really expensive as well. My mother has given me permission to store her remains in a Ziploc bag in our house. I refused her very emphatically and proceeded to add an entry to my plot bunnies document. I really could have translated the last word 鄉 as place instead, but home felt much more appropriate for the connotations. Interesting oxymoron that brings about, but isn't everyone's home foreign to someone else? Anyhow! Most Chinese people preferred to stay near their own home for most of their lives. Early on, this was for practical reasons — we were an agricultural society and you can't exactly drag around farms, but also Confucius said you shouldn't travel away from your parents while they were still alive. The Chinese population therefore decided Confucius, as always, was right. This superstition is based on the pun of die and four, which have the same phonetics but a different intonation. Many superstitious beliefs in China are built upon similar wordplay. Additionally, fourteen sounds similar to must die and is extra unlucky. On the flip side, one-three-one-four sounds like one life one world; in other words, 'till death do us part. It's considered a lucky number for couples and many weddings happen on dates including the string of 1314 somewhere. In most buildings in China, the fourth floor is skipped over. Same goes for fourteenth, twenty-fourth, thirty-fourth and so on. There's a building I know that takes it a step further and cuts out all the floors from forty to forty-nine. Apparently, it's puzzled many kids in the building trying to do maths. Actually, skipping ten floors isn't superstition. It's real estate developers trying to pretend their buildings are taller. At funerals, this is one of the things to say to the deceased's loved ones. While the message is more or less the same as my condolences or I'm so sorry for your loss, the literal translation has more complex social connotations. It counsels moving on much more strongly than Western customs. My personal take on this practice is that we shouldn't cling to the dead. (I believe it's based in Buddhism and the idea of what comes round goes round, but I'm not very familiar with the subject.) In fact, vengeance is discouraged in our culture — or if it happens, it's called justice. Perhaps this does bleed through in my own writing, since the revenge-seeking in Matryoshka is quite possibly the stupidest idea in the entire book. Speaking of bleeding, I procrastinated and wrote the death scene of Thomas' father (which kicks off the entire book!) — read the special scene with my takeout army on 13/2! At some funerals, you will also bow thrice to the casket, and then the family, standing off to the side, returns the bow. The first bow is to respect the heavens; the second to mourn the deceased; and the third to console the family. Not everyone who arrives has to do this — I've never done it, personally — but closest friends often do. The first festival is the Chung Yang Festival, or the Double Ninth Festival. It occurs on the ninth day of the ninth month of the Lunar Calendar. The second is the Qing Ming Festival. Its occurrence depends on the latitude of the sun near April 5th, but mostly it occurs on April 4th, 5th, or 6th. These festivals have similar customs. Traditionally, most people are buried in cemeteries on hills, quite some distance away from residential areas. It's customary to go hiking on the day to your relative's grave. Then a variety of offerings are laid at the grave. Flowers, food (especially fruit and roast pork), and folded paper models of everything. Everything. Money. Houses. People. iPhones. 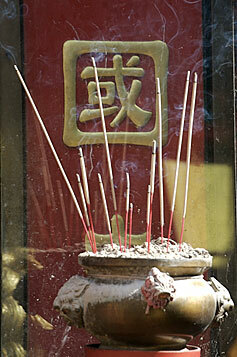 Incense sticks are also lit and planted in special pots. Interested in the superstitions and legends of China? 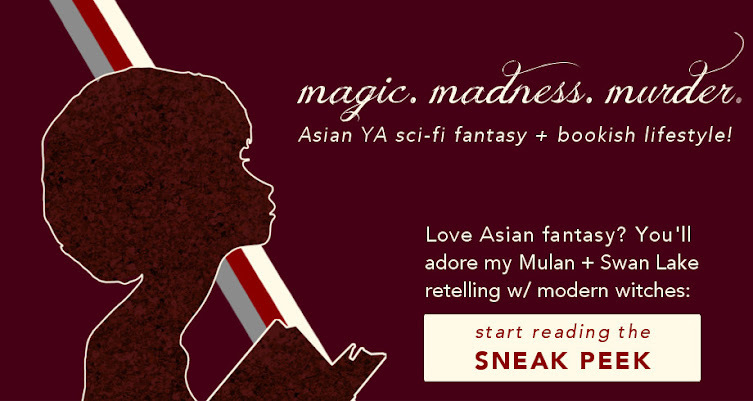 I wrote a post about two of my favourite Chinese myths you can check out. As a writer and literature student, I would be remiss if I did not discuss symbolism. Some symbols are similar internationally, such as winter = death because obviously everything freezes. But instead of black, the colour of death is white. (This is why you don't wear white to Chinese weddings.) This is quickly fading away in contemporary China, though, and people aren't normally afraid of wearing white. But some older generations dislike white hair accessories, since that's more blatantly a sign of mourning. And instead of liles, the flower of death is chrysanthemums. (I mixed this up with carnations once and my mother glared so long at me.) It sometimes symbolises chivalry, as well, but white chrysanthemums are death for sure. Hmm, reminds me ... *adds detail to Matryoshka* Oh, and while I'm rewriting, don't forget to join the takeout army before 13/2 and read the extra DEATH scene! Any other questions about how China deals with death? How does your culture approach this topic?